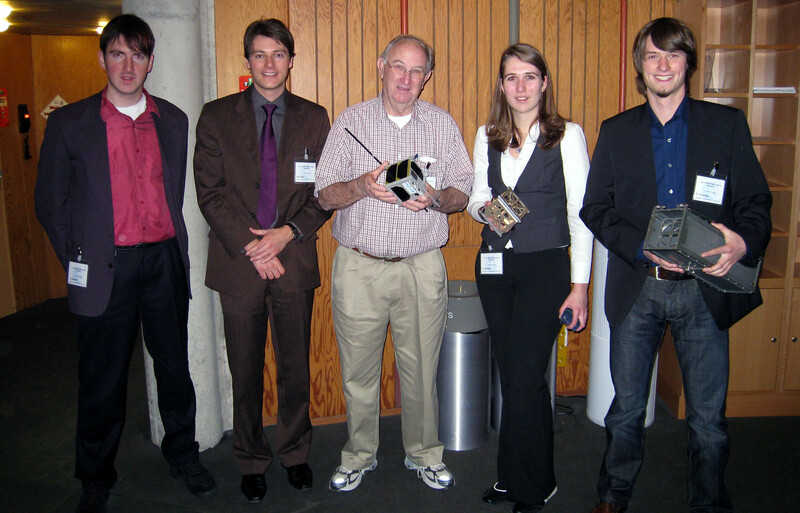 First-MOVE is an amateur radio CubeSat being built by students at the Technical University of München. MOVE stands for München Orbital Verification Experiment. 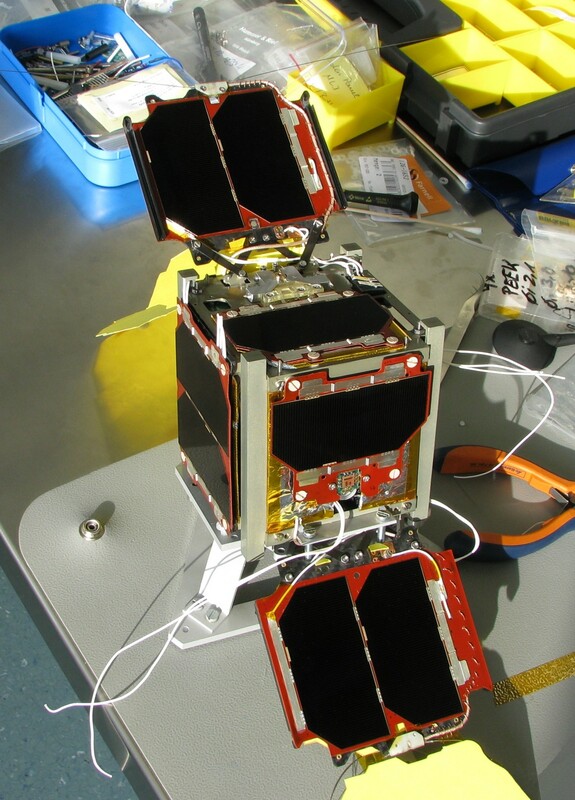 The 1U CubeSat carries a CCD camera and has two deployable solar panels carrying a new generation of solar cell – triple junction GaAs / Ge. This video shows the test preparations for the thermal vacuum test of the cubesat First-Move. The satellite was left in vacuum conditions for 24 hours in the LRT vacuum chamber to offgas any residual materials that could harm the vacuum chambers at IABG. Afterwards the satellite was transported to the IABG premises and installed in to the thermal vacuum chamber. To reduce thermal influence from the environment the satellite is suspended from the chamber ceiling. After some final functional checks First-Move is ready to start the thermal vacuum testing mid-next week. The First-MOVE transceiver, was supplied by ISIS and uses a UHF uplink and VHF downlink. The antennas are mounted on the ends of the deployable solar panels.